B&W image of an HP Plotter. In the background are skyscrapers in the night time sky. 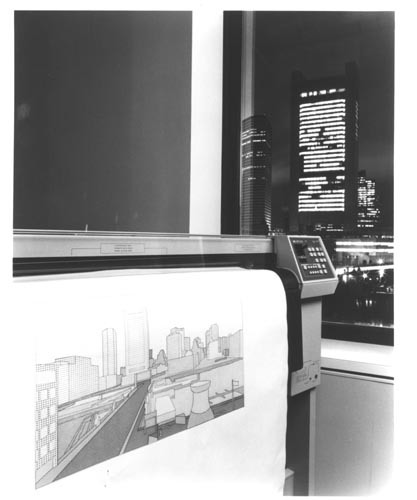 Coming from the plotter is the image of a cityscape.